Memphis is a music city with many unique talents. 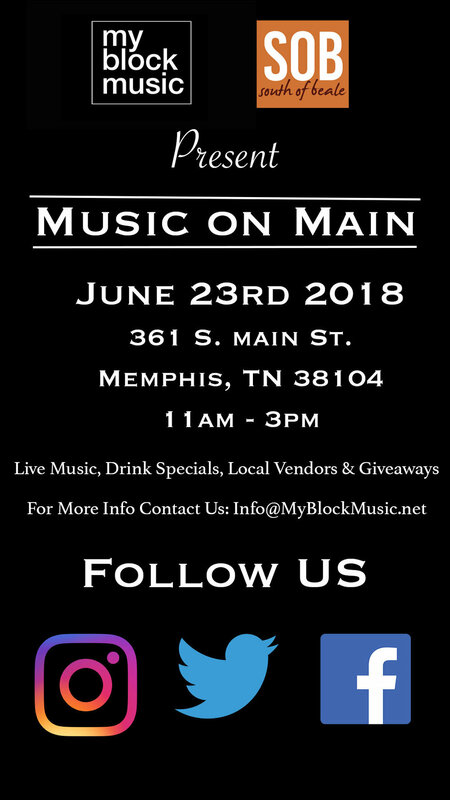 MyBlockMusic will be hosting Music on Main that will feature local musicians and businesses. This family-friendly event will take place between 11am-3pm on June 23rd at South of Beale. There will be local vendors, musicians and giveaways during the event.